Henry Holt and Company, New York, 2007. 32 pages. We all realize that there are versions of the story of Cinderella from all over the world. 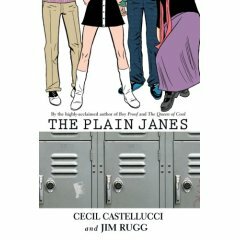 In this delightful book, Paul Fleischman takes bits from many different versions and weaves them into one tale. Illustrator Julie Paschkis uses folk art motifs from the different countries to decorate the story perfectly. But when the girl was out tending the cattle, the beasts heard her crying for hunger. “Don’t weep,” said one of the cows. And the animal poured honey for her from its horn . . .
. . . and a fairy gave her figs and apricots . . .
. . . and Godfather Snake gave her rice. Once she was eating well and proper, the girl bloomed into a right rare beauty. The stepmother couldn’t fathom it. And meanwhile her own sour-faced daughters would curdle the milk if they looked at it twice. 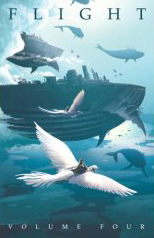 This book is perfect for introducing children to the concept of different versions of familiar tales. But it’s also simply fun to read and enjoy. And enlightening to see how the different versions reflect the different cultures. Kids Can Press, Tonawanda, NY, 2006. 36 pages. 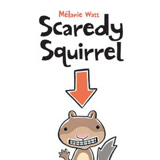 Scaredy Squirrel is afraid of many things out in the unknown, things like green Martians, killer bees, tarantulas, poison ivy, germs, and sharks. Fortunately, Scaredy Squirrel knows how to cope with his fears. He never leaves his nut tree. What’s more, Scaredy Squirrel is fully equipped with an emergency kit and an escape plan. Still, sometimes things don’t go exactly according to plan…. I was completely charmed by Scaredy Squirrel. This delightful picture book is a fun way to discuss dealing with fears — but mostly it’s a lot of silly fun. Kensington Books, New York, 2007. 346 pages. This is the second book by Peter Pezzelli that I’ve read. I found both books warm and wonderful. With both, I felt transported back to Italy. In Italian Lessons, Carter Quinn, newly graduated from college, has fallen in love with a girl who lives in a village in Italy. He can’t stop thinking about her. So he decides to spend his summer learning Italian and then go to find her. Carter learns that a music professor often gives private Italian lessons. This professor, Giancarlo Rosa, has not been back to his childhood home in Italy for decades. 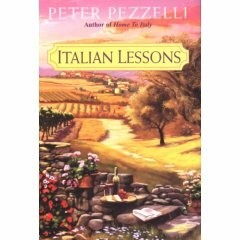 Italian Lessons covers the summer’s lessons together, what Carter learns about Italy and about life, and then what he finds in Italy — and how his discoveries touch Professor Rosa permanently, and allow him to finally make peace with his past. This is a feel-good novel that is also thought-provoking, covering issues of life like forgiveness and destiny and opportunities. I definitely need to look for more of Peter Pezzelli’s novels. So far, they always leave me with a smile. HarperCollins, New York, 2007. 370 pages. Barbara Kingsolver has a marvellous ability to make you think. She has a way with words, coupled with ideas that challenge today’s society. 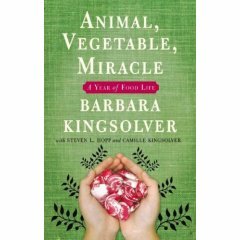 In Animal, Vegetable, Mineral, Barbara Kingsolver and her family became locavores –attempting to eat food that comes from the local area, rather than food that had been shipped hundreds or thousands of miles to reach them. Along the way, she tells us about the journey, drawing us into her story as only Barbara Kingsolver can. Her daughter provides the book with recipes, and her husband provides sidebars of information about such things as the food industry’s dependence on petroleum. She sets up the book going through each month of a year, beginning in late March, ready for asparagus. The whole concept of certain foods being available in certain seasons is one that I, along with most American consumers, am not used to. She writes about their garden and farm adventures in each season of the year, and her daughter provides recipes to go with each month’s particular abundance. completely new eyes. In fact, reading this book opened my eyes to the small labels in my grocery store produce section, telling which foods come a relatively short distance. Most of all, this book made me hungry! All the descriptions of fresh food, grown without pesticides and not shipped thousands of miles convinced me to think about trying this approach not as some sort of noble sacrifice to help the environment, but to partake in some of the deliciousness described. You are currently browsing the Sonderbooks blog archives for April, 2008.